Office 365 provides you with the latest version of Microsoft Office bundled with a whole new range of features and benefits. Install Microsoft Word, Excel, PowerPoint, Outlook, Publisher and OneNote on up to 5 devices per user when you purchase a business package. For an additional £2.50 per user (£30 annually excluding V.A.T), you'll get a fully managed service. We'll take care of your technical issues from the initial installation through to managing complex E-Mail rules, Password Changes, New Users and changes. If you already own an Office 365 Subscription purchased directly from Microsoft, we can lower your monthly fees by 5% without any interruption to your service. Simply set your licences within the Microsoft Admin Portal to auto expire and instead, we will apply new licences at a lower cost. A subscription of 10 users on the Business Premium package will save you £67.70 per year when purchased through us. Office 365 essentials is designed for businesses looking for a business E-Mail service with online data storage, high definition video conferencing and team collaboration but do not need Word, Excel, Powerpoint, OneNote, Access or Outlook. 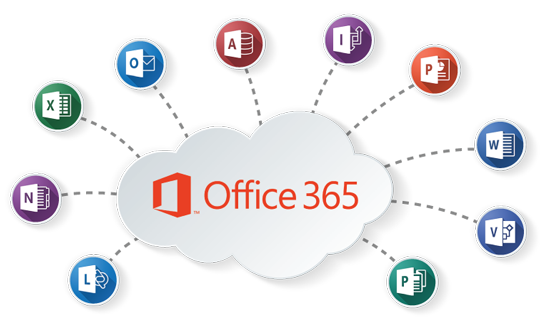 Office 365 Business is designed for small and medium businesses looking to install the latest version of Microsoft Office, collaborate with team members but do not need a business E-Mail solution, Skype for Business or SharePoint etc. Office 365 Business Premium is designed for small to medium businesses looking for an enterprise class E-Mail system with online data storage, high definition video conferencing and team collaboration AND a corporate E-Mail system. The E3 plan is an enhanced version of Business Premium designed for larger businesses or those looking to set email retention policies in order to protect company data or perform complex searches across all mailboxes. If you're using G-Mail, Hotmail, Outlook.com, On-Premise Exchange or an email service from another provider, we can migrate your email accounts over to our systems.